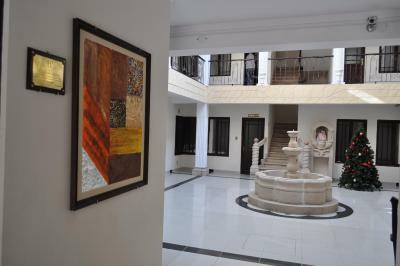 beautiful property located in the historical district, most rooms face the inner courtyard; my room was cozy, comfy bed, hot shower, good internet; very good buffet breakfast; the staff is nice and helpful; good value! 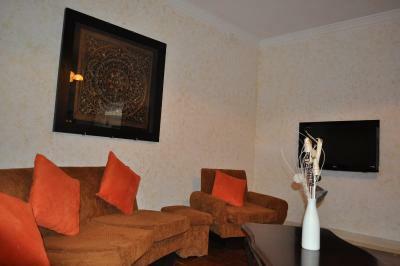 Location - very near main square and restaurants. Staff friendly and helpful. 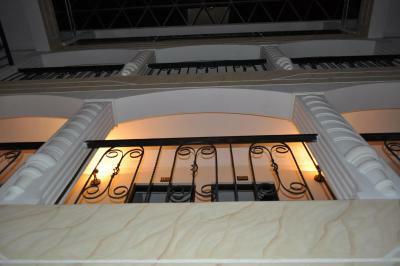 Very good location and walking distance toshops and places oof interest.Nothing. 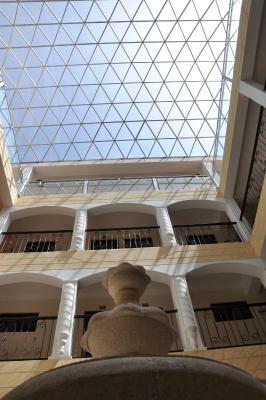 The central courtyard is light, bright and airy. I had a nice big room which is always nice. Good strong shower with hot water. 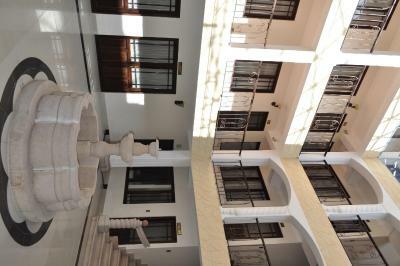 Excellet location - few meters from main square, Catedral, Museo de Moneda. 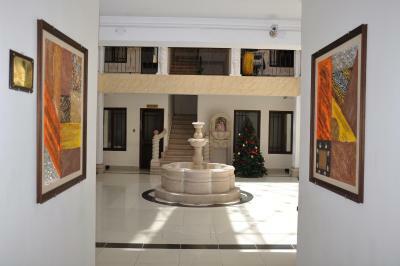 Wonderful Spanish Colonial building with court yard, fountain (but no water), spacious room,very clean. Location - few meters from the Catedral, Mueso de Moneda, main square (Plaza 11 de Novembere) and 6 de Agosto memorial and so on. Very nice building (once you are inside) of traditional Spanish Colonial design with arches and courtyard with fountain in the middle (but without the water running - water conservation I guess!). Staff was very friendly and helpful. Comfortable bed. Warm and quiet room. Powerful hot shower. Good WiFi. 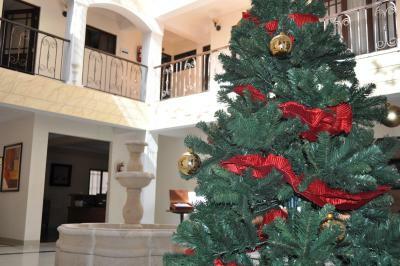 "beautiful property located in the historical district, most rooms face the inner courtyard; my room was cozy, comfy bed, hot shower, good internet; very good buffet breakfast; the staff is nice and..."
"-My room was facing the street, which was a little loud at night, as there is also a club cross street"
"Location - very near main square and restaurants. 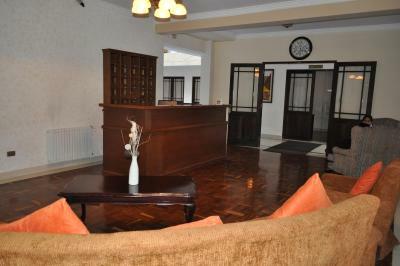 Staff friendly and helpful." 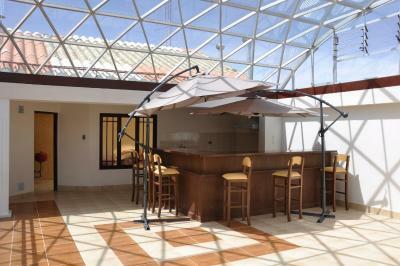 "Very good location and walking distance toshops and places oof interest.Nothing." 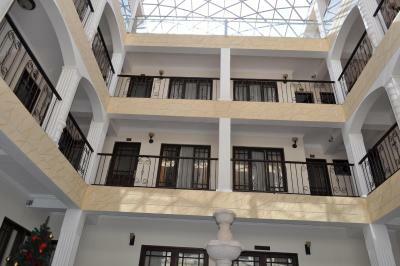 "The central courtyard is light, bright and airy. I had a nice big room which is always nice. Good strong shower with hot water." 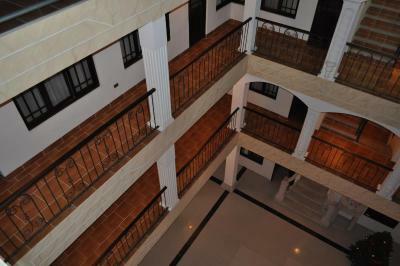 "Excellet location - few meters from main square, Catedral, Museo de Moneda. 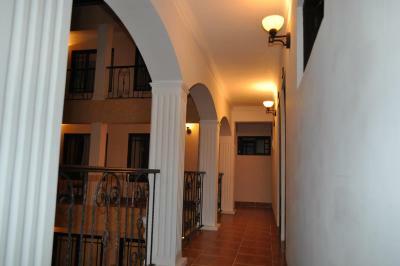 Wonderful Spanish Colonial building with court yard, fountain (but no water), spacious room,very clean." 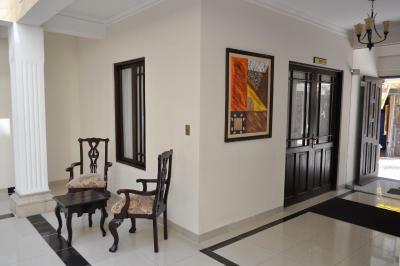 "Location - few meters from the Catedral, Mueso de Moneda, main square (Plaza 11 de Novembere) and 6 de Agosto memorial and so on. " 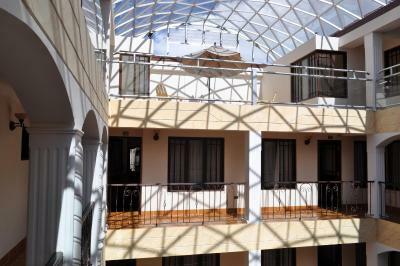 "Strong central heating in the room, hot powerful shower, great location, all rooms seem to face the central courtyard so lighter than most Bolivian hotel rooms"
"Comfortable bed. Warm and quiet room. Powerful hot shower. Good WiFi." 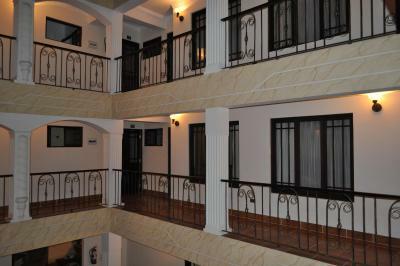 "Central, beautiful building, very helpful at organising tours, very clean bathrooms, nice staff"
Et af vores foretrukne valg i Potosí.Set in charming colonial style building, Hostal Patrimonio offers rooms with free Wi-Fi and plasma TVs. 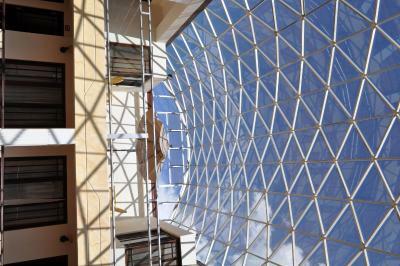 It features a terrace and a sauna, and free parking is provided. Casa de la Moneda is 200 metres away. Decorated in pastel colours, rooms at Patrimonio Hostal have private balconies and minibars. They are arranged around picturesque corridors overlooking an inner patio. 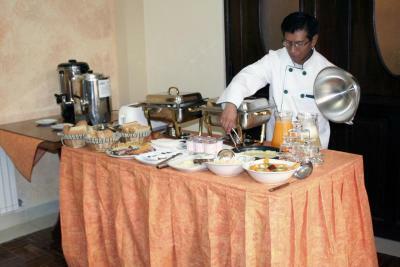 An American breakfast including tea, coffee, bread, cookies, salad fruit, eggs, and yogurt is served daily. 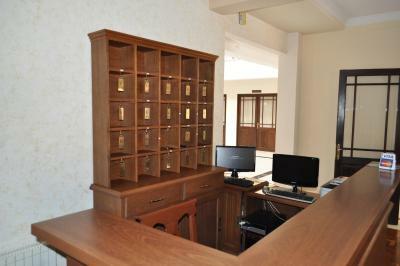 Guests can unwind on the sun loungers available on the terrace, or book excursion at the tour desk. Nicolas Rojas Airport is 7 km away. 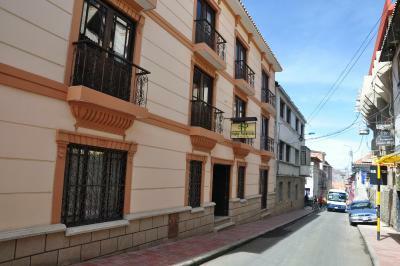 Hostal Patrimonio – Potosi is 250 metros from the Main Square, and 2 km from the Bus Station. Hostal Patrimonio - Potosi har budt gæster fra Booking.com velkommen siden d. 4. aug. 2011. Hvornår ønsker du indkvartering på Hostal Patrimonio - Potosi? 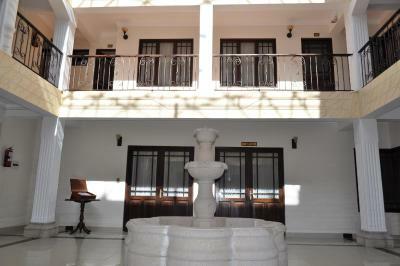 A comfortable room with flat-screen cable TV, a private balcony and a private bathroom with free toiletries. Denne suite har balkon, kabel-tv og spabad. 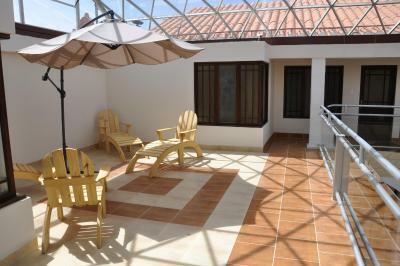 This triple room features a balcony, minibar and patio. Dette 3-personersværelse har balkon og minibar. Før du booker Hostal Patrimonio - Potosi tager imod forespørgsler! Angiv dit ønske i næste trin. Hostal Patrimonio - Potosi tager imod disse kort og forbeholder sig retten til midlertidigt at reservere et beløb på dit kreditkort forud for ankomsten. 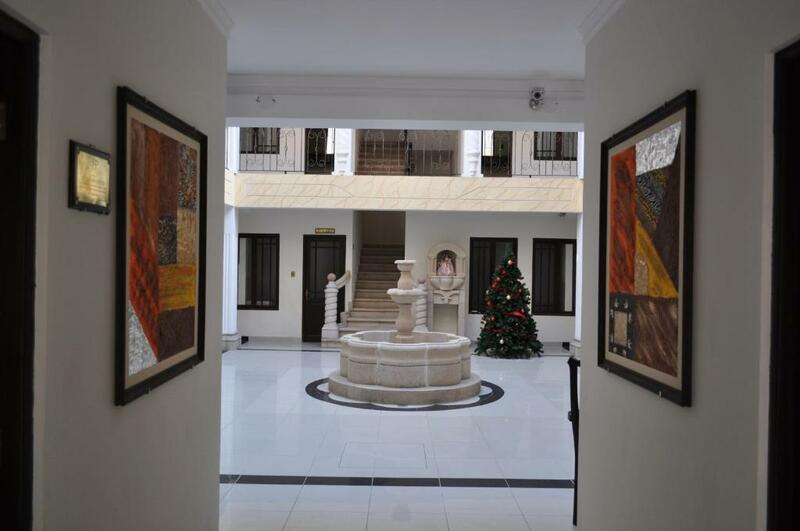 "beautiful property located in the historical district, most rooms face the inner courtyard; my room was cozy, comfy bed, hot shower, good internet; very good buffet breakfast; the staff is nice and helpful; good value!" "-My room was facing the street, which was a little loud at night, as there is also a club cross street "
"Location - few meters from the Catedral, Mueso de Moneda, main square (Plaza 11 de Novembere) and 6 de Agosto memorial and so on. Very nice building (once you are inside) of traditional Spanish Colonial design with arches and courtyard with fountain in the middle (but without the water running - water conservation I guess!). 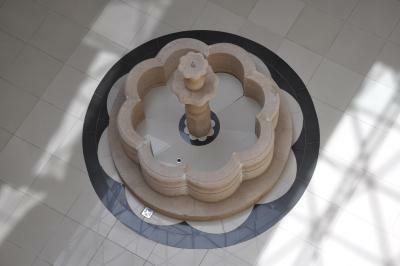 Staff was very friendly and helpful." 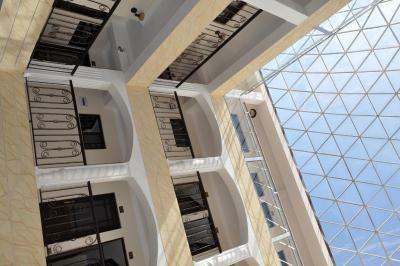 "Strong central heating in the room, hot powerful shower, great location, all rooms seem to face the central courtyard so lighter than most Bolivian hotel rooms "